New: Join The Aura Club! If you are a Majacraft Aura owner, or considering becoming one. then we have something new to share with you! 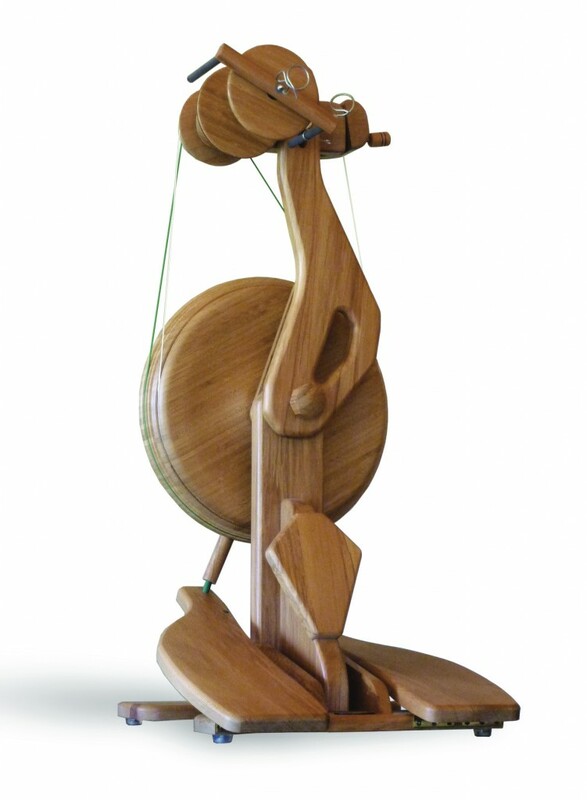 This is such a unique wheel, from its beautiful modern styling and New Zealand native timber materials, to the amazing ‘modified double drive’ system that give you detailed control for ‘set and forget’ spinning. Because this wheel is so different, we wanted to celebrate it with you, Aura owners! We have created an exclusive Club, a place where we can: share news and updates on the Aura, welcome you to participate in monthly events, live streams, and challenges (with prizes! ), where we can offer you occasional discounts specifically for Aura owners, and where you can share your own Aura adventures with us, and your fellow Aura owners. 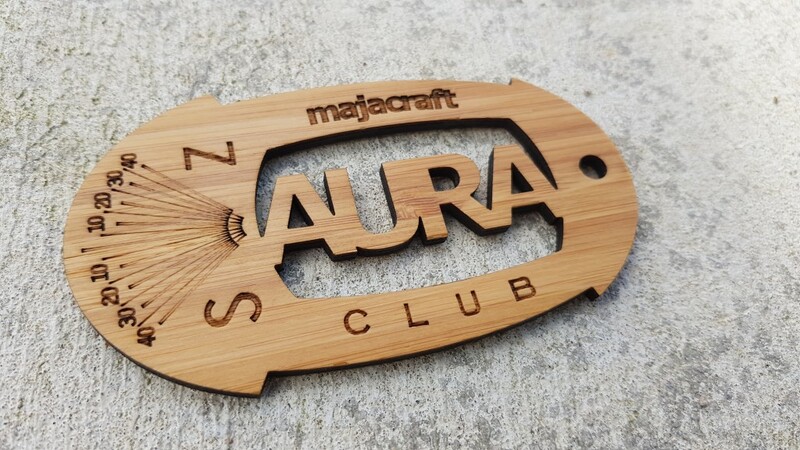 We have also created something really special to gift you with your Aura Club Membership, we have designed a really useful (and decorative) little Wheel Hanger which we will post to you (no charge) on registration with the Aura Club. If you are already a Registered Aura Owner please follow this LINK to register for the Aura Club. If you are a new Aura owner or about to become one (congratulations!) then just Register your Wheel on the link provided with it and you will be signed up for the Aura Club at the same time. Once you have completed your Registration you will receive the link to gain entry to the Majacraft Aura Club (Closed Group) on Facebook. We hope you will enjoy the upcoming activities and events we have planned! Our first kickoff event is a Live Stream on the 18th of September at 1pm (New Zealand Time) which will include some exclusive video of how and where your Aura is ‘born’, a tour of the Majacraft Workshops where your wheels are hand crafted by our small team! We hope you and your Aura can join us for this, and future Aura Club Events! Is there a Rose club? I can’t find any information that should have originally come with my wheel to register it. Either I didn’t get it, or I have lost it! Bought last November in the UK from P & M Woolcraft. What can I do? Thanks. I am owner of a new-bought Aura since 2 year but never received a link to become member of the club. So my question is: what can I do to get registered and get access to the groupe on Facebook. Hi Madeleine, the link is right here on the page if you would like to register now 🙂 https://www.majacraft.co.nz/register/aura_club_register.php Once you have done that you will also see the link to the Facebook group! Hi! I purchased my Aura from a spinner who was downsizing. May I still register it? if so where? and may I become a member of the club? I have just finished my first bobbin on my new Aura I bought from Wendy Denis at Tarnwarnecourt. Two great friend Anne and lyndon have been great advocates for Majacraft and fabulous teachers.